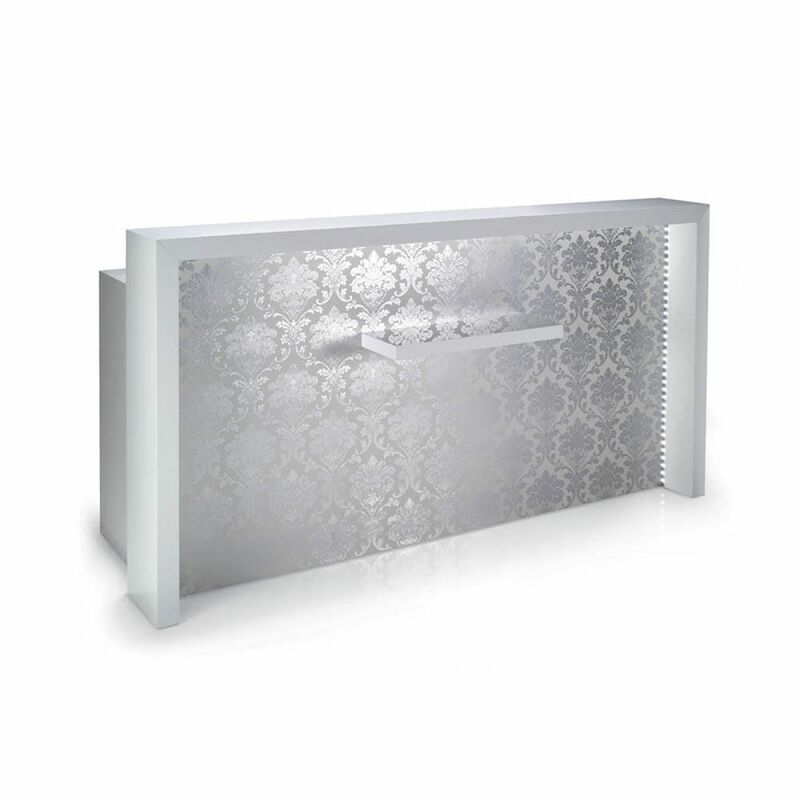 Laminate reception desk, decorated with wallpaper detailing and front illuminated with LED lighting. The desk has front check writing shelf and an elevated shelf to help the check out process. The desk surface gives you plenty of space for your POS system, and salon advertisements. 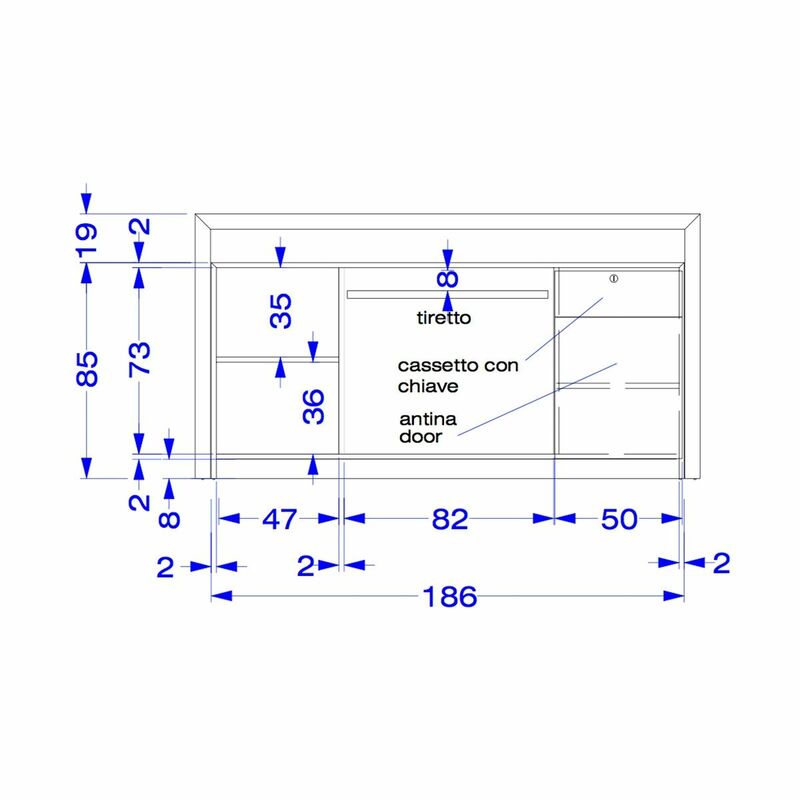 The desk measures 63in. and also available in 83in. The back of the desk has a laminate cabinet with shelf for keyboard, two doors and two drawers with keys for additional storage. Desk available in different laminent colors.